Wedding season is upon us, and is it expected, many people would be out shopping right now. As is the code with most weddings in this day and age, the colors around the venue play an imperative part in setting the impression for the event. Such is the amount of focus and importance given to wedding colors that couples start talking about the colors way before they have even decided upon the wedding venue and other details. However, with excitement comes great responsibility, and as part of that responsibility, you should hold your horses and make sure that you don’t let the excitement or the prospects overwhelm you. Knowing that this is a bit too much to ask of you, we will be doing you a favor by mentioning a list of things you should keep into consideration while selecting the color combination for your wedding. Go through this list and make a detailed decision for yourself, over what you would really want to see at your wedding. You can only choose the color combination when you have the picture of your venue right in front of your eyes. It is difficult to envision the right color combination if you’re unsure what your venue would look like. So, it is only plausible that you go through the venue first and decide about the colors later. You can start your search for an amazing ballroom, banquet, or hall right now, and then finalize the colors later down the line. The venue is imperative to the cause of beautiful color combinations because you can go around the venue and see the arrangements for yourself. Without a proper picture in your mind, you wouldn’t be able to get the kind of combination that you’re looking for, or would want to get. You would be extremely wrong for believing that the color combinations inside a location do not impact the overall mood at the place. The venue for your wedding, and the color combination that you have gone for would be making or breaking moods during your big day. Considering the deep impact that color can have, the kind of mood that you want to have at your wedding would heavily influence the kind of color combination you go for. Do you want a swanky affair with a lot of pop, or would you like a vintage wedding with just the right amount of black and red? Regardless of what you want, the color combination should be influenced by the setting in mind. If you’re unable to decide on the kind of mood you’d like during the wedding, think of inspiring ideas from the kind of guests you have invited. The kind of guests you have coming in can greatly influence your understanding of the kind of color combination you should have and the kind of mood you would want to be maintained in the celebrations. Oh, spring, when the sun comes to greet us, and the flowers are all grinning with exuberance, the greens of the hilltops transcend upon us and the fields all blossom with lush green songs of pleasure. The seasons might not sound related to your wedding color combination, but that isn’t really the case. The season you are about to get married in holds an imperative role in setting the mood and the color combination in your wedding. To begin with, the season you’re getting married in will dictate the kind of flowers that you will have around. The flowers are necessary for the setting, which is why the kind of flowers you have available will determine the color setting. Additionally, the season and the weather outside can also dictate the layers of dressing the bride and groom will be wearing. The groom cannot just keep sweating in the dead heat of the summer, packed under multiple tuxedos. So, the seasons are imperative to your wedding celebrations. You can choose cooler colors like pale blue or deep burgundy, because they have a bit of coolness and deepness to them. You can also go for some white with lots and lots of greens. White and green form perhaps the safest color combination, which is why you can benefit from going with them, if you’re out of all other possible options by your side. You don’t really have to be pretentious while choosing the color combination for your marriage. Oftentimes the couple tries so hard to impress people with the color combination that they end up disliking it themselves. The real deal here is to go with what you prefer the most. This is your special day, so care should be taken to ensure that you enjoy it more than anyone else around you does. Green is perhaps one of the greatest colors for brides, because of how vibrant and pleasantly attractive it is. So, if you’re running out of options, there is no reason why you can’t head to your favorite color and impress people with your own natural choices. It is okay to be in doubt when it comes to selecting your favorite color combination. The wedding event will be your big day, which is why confusions might arise, and situations might be created. However, you should keep your calm and continue your search for better results on. Pinterest is the leading platform to go to for wedding color combination ideas. The website has some of the best pictures and designs from across the globe. You can also create a contrast by going through options. Find 2 or 3 colors that don’t usually go together and mix them up for amazing results. 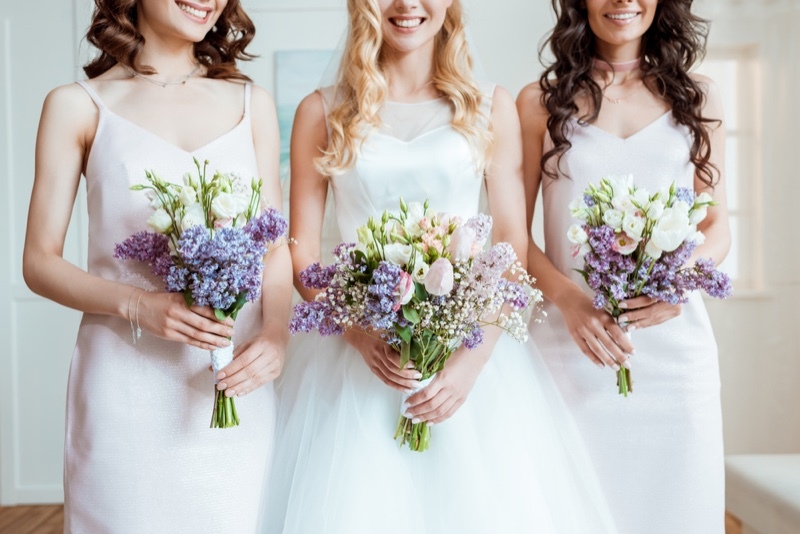 Contrasts are also recommended by many different wedding planners, because of how unconventional they are, and how you can use such contrasting color combinations to make your big day from all other run off the mill stuff.